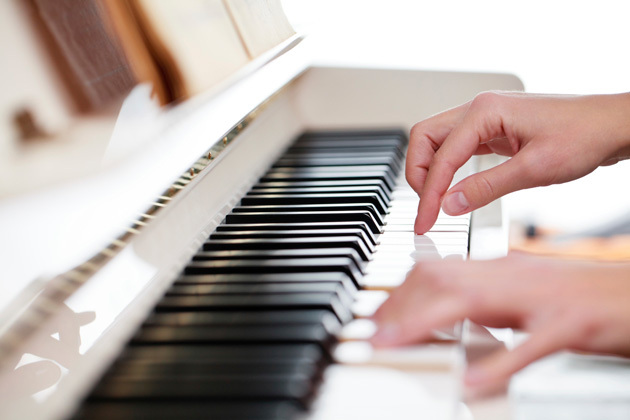 The last time I took a piano lesson, people were pointing bulldozers at the Berlin Wall. I haven’t even played for pleasure since the early ’90s. So when my old piano teacher calls to say she’s coming to Kelowna and wants to visit, it’s hard not to feel like I’ve let her down. I actually moved my old upright Heintzman from Vancouver to the Okanagan 12 years ago. My mum was threatening to sell it so I trucked it up here where it’s become a bulky shelf for photographs and knickknacks. I’ve moved house three times and never tuned it. After supper my piano teacher and I crack open my piano bench and laugh about all the sheet music I “borrowed” from her and never returned — her name, Patti Richardson, scrawled in the top right-hand corner. She pulls out music and sight-reads for me, clucking over the piano’s dissonant notes; I hear for the first time in two decades music I used to know by heart. She finds a composition I must have written in Grade 8 or 9 that I’ve set meticulously in staffs I drew by hand. When she’s done, we both turn to one another, our eyebrows hoisted a little higher. It’s no Mozart, but it’s lovely. You’ll find it meditative. It’s hard to think about anything other than the music when you’re playing. By grade 11 and 12 I was practicing for two hours a day, but never intended to go on in music. I was good, but never infallible and back then I thought if I wasn’t going to be the best at this I’d be something else. “What did I get out of all that practicing if I don’t even touch the piano now?” I ask Patti. I feel sad even posing the question, like I’m only now losing all those precious hours I could have spent at the mall or mooning over boys. In the morning I’ve thought of an answer. I work from home in a demanding job with daily deadlines: “I think piano is where I learned my discipline,” I tell Patti. She’s got another: “I think this is how you became a good listener,” she says. I’m so touched by this odd compliment I can feel gladness swelling in me like a chorus. I’ve had some tough times in the past year — some things so sad they can still charge at me out of nowhere, knocking the wind right out of me. Patti knows this, which is probably why she looked me up in Kelowna. I don’t, at first. I find it galling. Looking at the sheet music feels like trying to read a language I used to speak fluently, only to find I can’t even sound out the words. My fingers are slurring and clumsy, as if they’ve each stumbled home late after too many beers. I get the piano tuned, which makes a difference. After the first month I can fumble and clunk through several of the more difficult pieces I used to play in my sleep. Last week I decided I’d try to learn something new, an easy Chopin waltz, only to realize after a few minutes that I knew it after all.